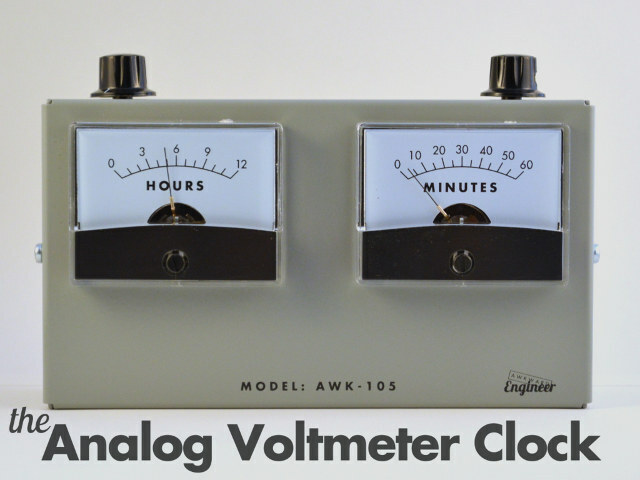 This is the Model AWK-105 Analog Voltmeter Clock designed by Awkward Engineer. 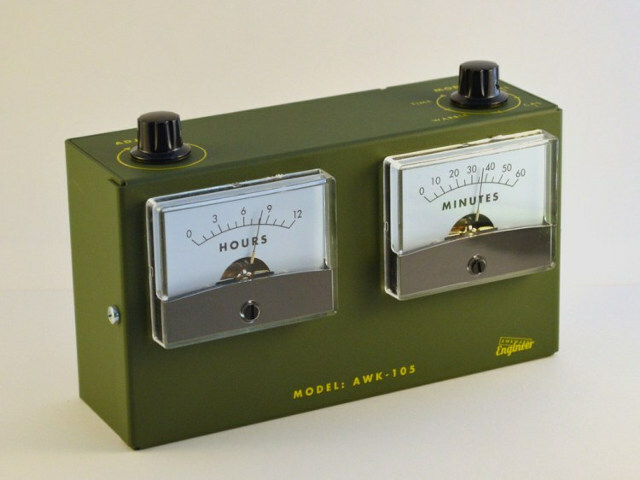 It tells time with two analog meters, costs $140, and comes in both industrial gray and olive drab colorways. 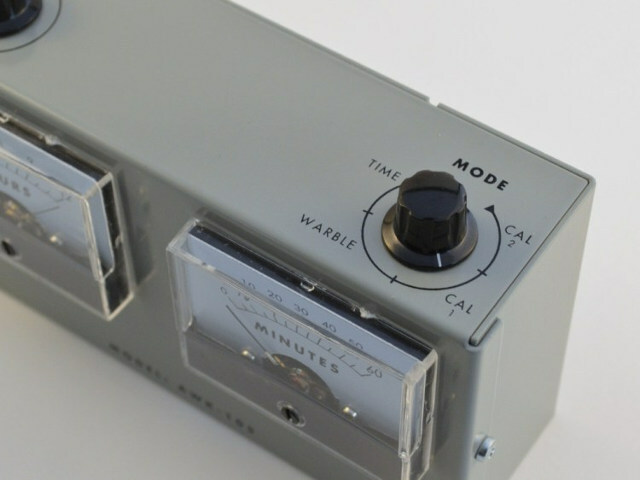 It’s perfect for the mad scientist on your gift list. 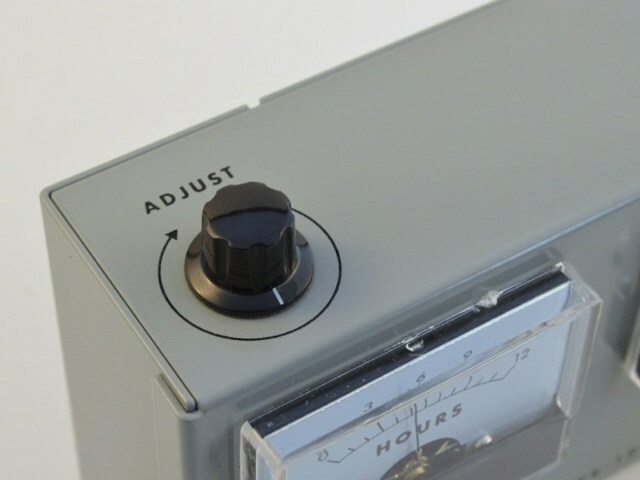 Don’t have a mad scientist on your gift list? Then you need to get out there and MEET PEOPLE. I have THREE mad scientists on my gift list. Plus two warlocks, a handful of elves, a fairy, and a bearded lady. I’ve already decided I’m getting the bearded lady an electric razor. Keep going for a couple more shots including the other color in case you have $140 to spend on a clock.